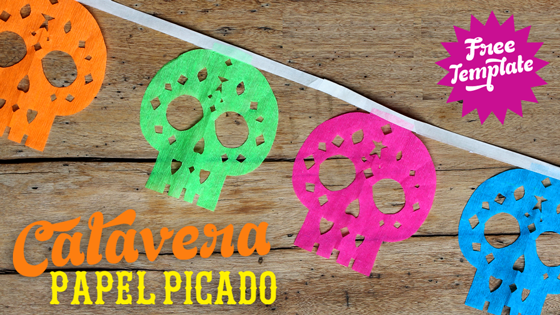 you get WAY more excited about Día de los Muertos than you do about Halloween. 1. Pan de Muertos: I suggest coordinating with your Home Economics teacher ahead of time so you can be in the kitchen on the day you do this activity. Otherwise, I have had the students do the process and then I have run down to the ovens to bake it for them to pick up later. 3. Parent Email: I highly suggest emailing parents a letter a few days before you discuss or participate in these events. Include what your plans are, give them a few details about the holiday and its cultural significance and offer them an opt-out if they are uncomfortable with their student participating for religious reasons. I also recommend cc'ing your principal or mentor teacher in that email to keep them in the loop. 4. Papel Picado: Buy cheap tissue paper, download a few patterns and collect as many scissors as you can. When your students are finished, you can string them together and decorate your classroom or even the hallway! 5. Vocabulario: There are all kinds of words you could teach your students related to these customs and this holiday. Perhaps you want to put the ball in their court? You can have your class contribute words they think are important, instead. 7. Venn Diagram: Throughout the week, no matter what activities we did, I always had a Venn Diagram printed on neon cardstock and in my students' hands before the week began. 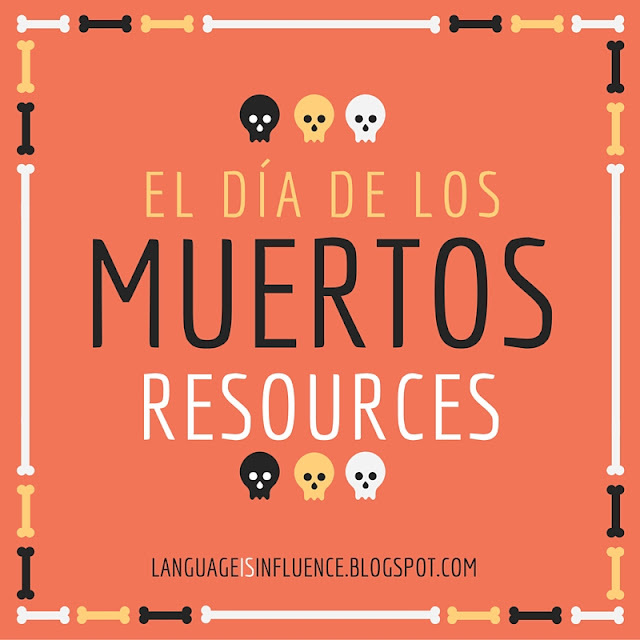 All throughout the week, each video, activity, reading, etc I would ask them to pause and write down two facts, or one observation comparing and contrasting Día de los Muertos with Halloween. At the end of the week you could add this to their portfolio, display them in the room, or take them for a grade. 8. Fotos: One of my favorite activities was to have students bring in a picture of someone who meant a lot to them that had passed away. We got in small groups of 3-4 people, and used our basic Spanish to tell their name, relationship to us and one thing that defined them. If they wanted, they could then describe this family member or friend in greater detail. 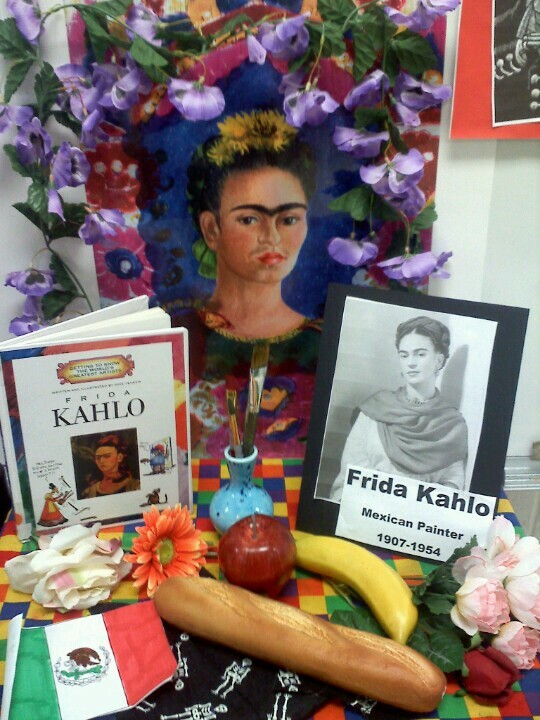 Students always enjoyed honoring someone's memory and as a teacher it was an EYE OPENING activity into the lives of my students. When I talked about my grandmother or a high school friend who had died, my students were not only engaged in the language, but connected with me on a personal level as well. 9. Decorations: Add a few of these infographics in the halls or near your desk to get students curious. I laminate mine and then file them for future years! 10. Even More: Where do I go when I need more inspiration & resources? AMY LENORD'S PINTEREST OF COURSE. Check out her Día de los Muertos board for many more goodies. And here for some additional authentic resources!